All at Junior McDaid House remember with pride Volunteer Frank Stagg who died after 62 days on Hungerstrike on 12th Febaury 1976. Frank Stagg was detained with six others alleged to comprise an IRA active service unit planning bombing operations in Coventry in April 1974. He was tried at Birmingham Crown Court. The English court found three of the seven not guilty; Frank Stagg and an English-born priest, Father Patrick Fell, were found to be the unit’s commanding officers; Frank Stagg was given a ten-year sentence and Fell twelve years, there was little or no evidence to connect him with the charge. He was convicted under the notorious British Conspiracy Laws, brought in during the latter half of the 19th century to imprison Irish political activists without a fair trial. Frank Stagg was initially sent to the top security Albany Prison on the Isle of Wight. In March 1974, having been moved to Parkhurst Prison, he and fellow Mayo man Michael Gaughan joined a hunger strike begun by the sisters Marion Price and Dolours Price, Hugh Feeney and Gerry Kelly. Following the hunger strike that resulted in the death of Volunteer Michael Gaughan, the Price sisters, Hugh Feeney and Gerry Kelly were granted repatriation to Ireland, Frank Stagg was denied repatriation, and was transferred to Long Lartin Prison, while there he was subject to solitary confinement for refusing to do prison work and was also subjected, along with his wife and sisters during visits, to humiliating body searches. In protest against this he began a second hunger strike that lasted for thirty-four days. This ended when the prison governor agreed to an end to the strip-searches on Frank Stagg and his visitors. In 1975 he was moved to Wakefield Prison, where it was demanded that he again do prison work, Frank Stagg like any other republican prisoner of war refused and was placed in solitary confinement, Frank Stagg embarked on a hunger strike in Wakefield on the 14th December 1975, along with a number of other republican prisoners, after being refused repatriation to Ireland during the 1975 ceasefire, the republican prisoners three demands were simple, 1. An end to solitary confinement 2. No prison work 3. repatriation to prison in Ireland. The British government refused to meet any of these demands, Volunteer Frank Stagg died on the 12th February 1976 after 62 days on hunger strike. In order that he be afforded a republican funeral, Stagg stated in his will that his body should be entrusted to Derek Highstead, then Sinn Fein organiser in England. The Wakefield coroner complied with his request. Meanwhile, the Fine Gael/Labour coalition government tried to cajole, intimidate, and bribe members of the Stagg family to collaborate in a week of desecration. Having failed, the institutions and servants of the state were used to hijack the body and orchestrate a parody of a funeral of honour, as Frank Stagg’s body was being flown home, and as the aeroplane was approaching Dublin airport, the government ordered Aer Lingus to fly on to Shannon where the Special Branch seized the coffin. Fine Gael Taoiseach Liam Cosgrave chose to defy in the most callous and insulting manner imaginable the deathbed wishes of a hero and to use the Special Branch to bury him. 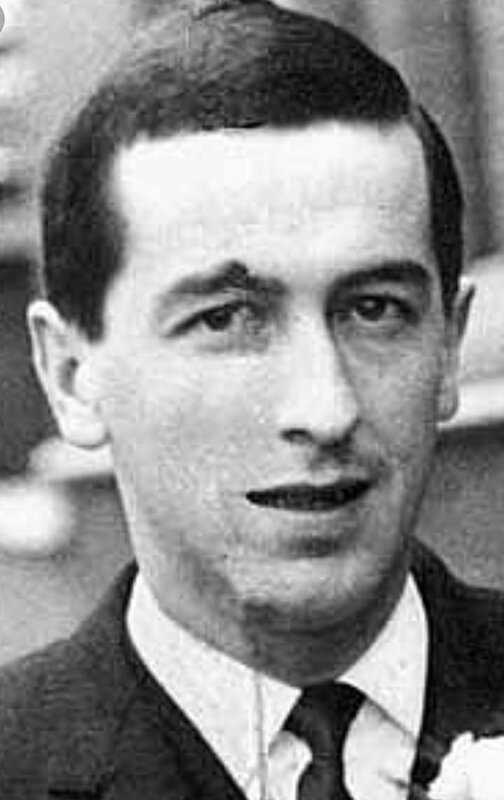 The state’s hijacking of Frank Stagg’s body was vile enough and virtually a carbon copy of the Crown’s treatment of Tomas Mac Suibhne’s remains in 1920, but not even the Crown dared to defy Irish traditions and interfered no more once the diverted coffin reached Cork. It was a shaming and shameful affair. On Saturday, 21st February, Requiem Mass, boycotted by almost all his relatives, was held. He body was taken to Ballina where it was brought by Special Branch men to a grave some 70 yards from the Republican Plot in Leigue Cemetery, where he had asked to be buried. In order to prevent any re-interment by republicans, the Special Branch afterwards poured six feet of concrete on top of the coffin. The following day, republicans held their own ceremonies at the Republican Plot, despite a mass presence of Gardai. A volley of shots was fired by IRA’s Mayo Brigade to salute their fallen comrade. In his oration Joe Cahill made a promise to Frank Stagg. He said: “I pledge that we will assemble here again in the near future when we have taken your body from where it lies. Let there be no mistake about it, we will take it, Frank, and we will leave it resting side by side with your great comrade, Michael Gaughan.” for six months the Gardai were stationed in the cemetery watching the grave but eventually they gave up and left. And when they did, forty years ago this week, republicans, friends and family disinterred Frank Stagg’s remains. On a dark and wet night, six men met for the first time in Leigue Cemetery, Ballina. They went to the plot beside Frank Stagg’s grave; dug down and then across to Frank’s grave, underneath the concrete. Frank’s coffin was removed and carried to the Republican plot and, with a decade of the Rosary, he was interred with Michael Gaughan, thus fulfilling his final request. “We are the risen people, this time we must not be driven into the gutter. Even if this should mean dying for justice. The fight must go on. I want my memorial to be peace with justice.” – Vol Frank Stagg. With many thanks to: Junior McDade House for the original posting.